Multiple Concurrent Hong Kong Employment Visa Applications ? This is quite an unusual set of facts and provides a great opportunity to clear up one small, yet key, part of the Hong Kong employment visa applications process. “We are from Canada. Recently my boyfriend and I were offered a job teaching English with a company in Hong Kong. We gave them the info for our work visa and they submitted the application. Actually, the terms and conditions were less attractive that we thought but we just wanted to get to HK. In the meantime, we kept applying for jobs to find a better offer and found a new company and were subsequently offered jobs. We gave them the appropriate visa info and they submitted an application for a Hong Kong work visa as well. Does your employer control your immigration destiny? My training visa has been expired and the same employer decided to take me as a permanent staff. So, yes i did found an opportunity in another company and they want to go through visa process for me. However, I have this old visa application keep going on. Is it wise to withdraw the application before they reject my application? Will it be hard to get a employment after rejection? Withdraw the current TV application and seek an EV via the new employer. After 4 years under a working visa I’m currently back in France. I’m in touch with a HK based company to come back for a 3 months training in HK before being sent full time to France. Shall I apply for a working holiday visa or a traning visa ? Can I apply for both visas at the same time ? Thanks a lot for your feedbacks, much appreciated. if you qualify for the WHV (age 30 or under) this would be the quickest and easiest route. You cannot apply for both at the same time. I am currently working in Hong Kong on a 2 year visa. I have found some other work on a Sunday. The company have asked me to get a sideline visa before I start this work ? Does this exist as I can’t find it on the government website? Many thanks. Yes – you need to apply 5/F Immigration Tower Residents section. You need form ID91, a copy of your side employment contract and written consent in writing of your current sponsoring employer stating that they have no objection to you taking up this side employment. Expect the application to take between 4-8 weeks to complete. Go early in the morning to apply with your documents and original passport as there is a fixed quota of cases ImmD take on each day. I;d get in the Q at 8:15 am for the door to open at 8:30 am to be sure they will accept your application on the day you submit. Thank you a million times for your reply. Since writing the post, my employer have said that they they will send a letter to the immigration office and I do not need to complete any forms. Is this another way instead of heading down to the immigration department? Yes, ImmD prefer all communications to be in writing. The Hong Kong piece is no problem. Can’t speak to Canada but I doubt it would be a problem there either. Best ask a Canadian immigration lawyer. The Canadian side don’t mind who you have visas with outside of Mapleland so it is great to hear that the HK govt is fine with it as well. Many thanks and all the best. my question is; once my new visa application is completed can I leave hk (to macau) then return to activate the new visa while the current one is still valid? 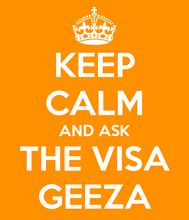 will the new visa supersede the current one so I could begin working at the new company ? I assume you applied for a change of employer whilst your [extended] limit of stay under your original employment visa was valid. If so, then when your new employment visa permissions are granted, ImmD will avail you an extension of stay together with the permissions to work for your new employer which doesn’t require a trip outside of HK in order to activate it. You can only start working for your new employer once ImmD have approved your new employer application – and not before.